This figure of Sir Edward McTiernan was sculptured in 1996 by Mr Peter Corlett. 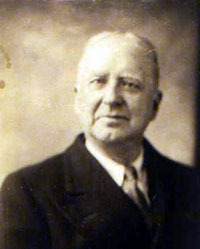 Sir Edward McTiernan was appointed to the High Court on 20 December 1930. 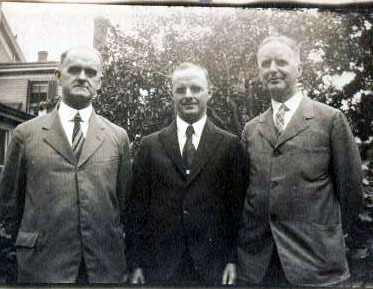 At the time of his appointment he was the federal member for the seat of Parkes in New South Wales, and prior to that he had been a member of the NSW Legislative Assembly (1920-1927), including two terms as NSW Attorney-General (1920-1922 and 1925-1927). Sir Edward was born in Glen Innes, NSW, on 16 February 1892. He was admitted to the NSW Bar in 1916, was knighted in 1951 (KBE) and appointed to the Privy Council in 1963. He retired from the High Court on 12 September 1976 after a record 45 years 9 months on the Bench. As Justices must now retire upon reaching the age of 70 years, it is a record which is unlikely ever to be broken. Sir Edward died on 9 January 1990 at the age of 98. This figure of Sir Edward, which is located in the High Court of Australia, stands outside the main entrance to Courtroom 1, shows him in the robes worn by Justices of the High Court on ceremonial occasions until the early 1980s. Behind the figure is Sir Edward's appointment by King George VI as a Knight Commander of the Order of the British Empire in 1951. Below is Sir Edward McTernan's family listing, from Co Leitrim, Ireland to Australia. The below line of McTernans are real and did exist. They seem to originate in Co Sligo in the Geevagh area and have the surname Tiernan first and then later in time took the Mc, making the surname McTernan. The specific link to my McTernan line from Sheskin may not exist as the DNA test shows that genetically we do not relate. This is Leo McTiernan of Boston's line. 2.1. Thomas Tiernan, c. 1805--, ran a publican and blacksmith shop in Geevagh , Co Sligo. 2.2.1. James McTernan Sr., c 1835--11-21-1911, from Carrowmore, Co. Sligo. James married Bridget Rogers, <1840--9-20-1890. This is the Heapstown Line. The Sligo area map . They were married 12-14-1857 in the parish of Ardcarne and Tumna, Co Roscommon. Bridget's parents were Michael Rogers and his wife, Mary. The name on the marriage license was spelled Tiernan, without the "Mc". It may be that there is no direct relationship between this Tiernan family line and the McTernans from Sheskin. James added the Mc to the name as did his children later in life in both America and Australia. James and his wife, Bridget are buried in the Holy Cross Cemetery in Malden, MA. James McTernan was a Stewart or Baliff on the estate of Captain Hugh McTernan , 1837--1911, of Heapstown, Co. Sligo and Mount Allen, Co. Roscommon until he resigned in 1886. It is not known if James and Captain Hugh McTernan were related but letters from both pubished in the Sligo Champion in 1887 in a dispute make it sound like they were not. In 1881, Captain McTernan offered a rent reduction of 33% to his tenants and due to it being one of the lowest offered was refused. 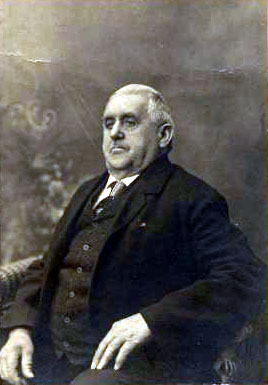 In the 1860's Captain McTernan carried out a mining trial in one of his land holdings by the name of Clerhanmore in Ballinaglera Catholic parish. The coal was of poor quality and when peat production increased this mine was closed. Captain McTernan, 1837--1911, who won the Kilmactraney division elections c. 1898 was described by the Sligo Champion as a "castle hack". The Sligo Champion was described as a leading source of mischief in Sligo and surrounding Counties. Later on P. A. McHugh , the publisher of The Sligo Champion Newspaper was found bankrupt and the court took possession of his home and office. This was serious as it prevented him from sitting in the House of Commons. During this time his manager 1.4.6. Bernard McTernan published the newspaper for several months under the new title, The Sligo Nationalist . John C. McTernan, a contempory historical arthur is the son of Matt McTernan, 1891--. Matt in his early days was a newspaper man working with his kinsman 1.4.6. Bernard McTernan. Captain McTiernan and James McTiernan's letters published in the Sligo Champion in 1887. The 2.2.1. James McTernan, c 1835--11-21-1911, family immigrated to Boston, MA on the ship SS Pavonia on 8-21-1887 and settled there. One son, 2.1.1. Patrick left Ireland directly for New South Wales in Australia. The reason that Patrick went to Australia and not to America like the rest of his family is that he was in love with his girlfriend, Isabella Diamond whom he later married in Australia. James McTiernan, <1835--1911, married Bridget Rogers, <1840--9-20-1890, in Ireland. They had at least ten children. 2.2.1.1. Patrick McTernan, 9-6-1861--2-6-1941, born in Heapstown, Parish of Tawnagh, Barony of Tirerrill, Co. Sligo and christened in the RC parish of Tawnagh, Co Sligo. Joined the RIC in 1879 and resigned in 1887 to immigrated to NSW, Australia from Ireland and married Isabella (Mabel) Diamond, 2-28-1870--1945, at Tenterfield, NSW in 1888. Patrick died at Petersham, NSW and Isabella died at Burwood, NSW. Mabel was born in Belfast but was most likely from the PLU of Ballymena, Co. Antrim and arrived in NSW sometime before Patrick. Patrick reached the level of Lieutenant [Sargent] in the Australian Police Force. He lived in Armidale, N.S.W. in 1887. Patrick was 5' 11.5" and appointed a RIC man  on 12-12-1879 for Co Tipperary and then Co Leitrim at the Bourne Police barracks. Patrick resigned on 6-6-1887 to emigrate. Isabella (Mabel) Diamond's parents were Hugh Diamond and Elizabeth Kirkpatrick. Her siblings were Mary Diamond, 4-7-1866--, born Co. Antrim and Edward Diamond, 7-21-1868--, born in the Poor Law Union of Ballymena, Co. Antrim, Ireland. Most likely the whole family is from the Poor Law Union of Ballymena, Co. Antrim area. 2.2.1.1.1.1. Mary Lloyd, nee McTernan, c. 1923--, married Tom Lloyd on May 4, 1958. Tom was the brother of Lady Kathleen McTiernan, nee Lloyd, Sir Edward McTiernan's wife. Tom Lloyd was a well to do sheep farmer. 2.2.1.1.2. Sir Edward Aloysius McTiernan , 2-16-1892--1-9-1990, the second child of Patrick and Isabella born on Tuesday in Glen Innes, N.S.W., Australia. Sir Edward served as one of Australia's High Court Justices appointed by the Scullin Labor Government in 1930, for which he was Knighted. He is the longest serving Justice on the High Court in the history of Australia. On 12-27-1948, Sir Edward married Kathleen Lloyd, --<3-1997, daughter of Sidney and Ann Lloyd of Melbourne, NSW, Australia on 12-27-1948. The family visited their Boston uncles and aunts in the 1928 and again in the 1950s. Sir Edward McTiernan and his wife lived on a 3000 sq meter estate at Breffni, Chilton Parade, 2074 Wurrawee, NSW, Australia. At Kathleen's death her 1.3 million pound house went up for auction. 2.2.1.1.3.1. John Patrick McTiernan, 1920--1-27-1920, died as an infant. 2.2.1.2. Catherine McTiernan, 10-30-1864--, daughter of James McTernan and Bridget Rogers, born most likely in Heapstown and christened in the parish of Tawnagh, Barony of Tirerrill, Co Sligo, Ireland. Catherine was not listed on the boat that the rest of the family came over on so she may in fact have stayed in Ireland. 2.2.1.3. Michael J. McTiernan, 1-1875--, son of James McTernan and Bridget Rogers, born in Heapstown, Co. Sligo, immigrated to Boston, MA arriving on the ship SS Pavonia on 8-21-1886. Michael worked for the Boston Schools as a Truant Officer and was a cousin to Frederick Mansfield who was a famous mayor of Boston in the 1930's. Michael married Katherine E. Morrissey in 1904 in the Boston, MA area. They are buried in St. Joseph's Cemetery in West Roxbury, MA. They had five children. 2.2.1.3.2. Katherine Duffy, nee McTiernan, 1910--1983, a school teacher known as Kay, the second child of Michael J. McTiernan and Katherine E. Morrissey married Lawrence Duffy in 1945 and had two children. 2.2.1.3.2.2. John Lawrence Duffy, 10-2-1950--, may be living in Philadelphia, PA area. 2.2.1.3.3. Marion Louise Ganzel, nee McTiernan, 1914--1993, the third child of Michael J. McTiernan and Katherine E. Morrissey married John C. Ganzel and worked as a school teacher. They had one daughter. 2.2.1.3.4.1. Linda Marie Francis, nee McTiernan, 1948--, married Philip Francis. 2.2.1.3.5.1. Kevin Joseph McTiernan, 1944--1959, the first child of Joseph Edward McTiernan and Anne L. Burbank. 2.2.1.3.5.2. Judith Anne McTiernan, 1948--, the second child of Joseph Edward McTiernan and Anne L. Burbank. 2.2.1.8.5.3.1. Christine L Schlegel, nee Lebeter, 1970--, married Curtis Schlegel and have two children. 2.2.1.8.5.3.2. Kevin J. Lebeter, 1972--, married Gail Reese and have the following three children. 2.2.1.3.5.5. Leo Vincent McTiernan, 1953--, the fifth child of Joseph Edward McTiernan and Anne L. Burbank. Leo and 5.4.2.3.1. Michael McTiernan met in NYC and then marched up 5th Ave. on St. Patrick's Day in 2000. It was the first time the two lines of the McTiernan family had met since 1887. 2.2.1.4. Thomas McTiernan, 10-23-1866--, son of James McTernan and Bridget Rogers, died at a young age. 2.2.1.5.1. Mary Buckley, nee McTiernan, the first child of Thomas McTiernan and Margaret Nary married a man by the name of Buckley but had no children. Mary was Director of Reading Programs for the Lexington (MA) School System for absolute ages (1950's--1960's) - and she did extended and extensive grad/post-grad work in Japan during the 1960's on same. 2.2.1.5.2. Thomas Joseph McTiernan, 5-25-1911--4-1977, of Charlestown, MA, the second child of Thomas McTiernan and Margaret Nary married Virginia Margaret Dalton, --1989, of Arlington Heights, MA. After graduating from Boston College, Thomas Joseph McTiernan served as a career U.S. Navy officer (Line, ordnance). His WWII service in the South Pacific and other locations was meritoriously decorated. Among many distinguished and high-profile assignments, he frequently represented the United States to NATO on ordnance issues during the 1950's. Tom's final Tour of Duty, which brought him home to Massachusetts after eighteen years living in Northern Virginia, was a the DoN Bureau of Ordnance Representative to General Electric's Pittsfield, MA operations. Upon retirement from the U.S. Navy, he served the Archdiocese of Boston for several years until ill health overtook him. Thomas and Ginny retired to York Harbor, ME in 1966. Tom died in April 1977. In 1940, Thomas married Virginia Margaret Dalton, --1989, of Arlington Heights, MA. She was the youngest of nine children of James Dalton and Margaret Meany. Margaret Meany's family was from Co Limmerick. James Dalton was previously from Newton, MA and was a manager of some of United Fruit's operations. Thomas Joseph McTiernan and his wife, Virgina Margaret Dalton had one child. 2.2.1.5.2.1. Phyllis Anne McTiernan, 11-16-1948--, as her dad's work involved periodic sea duty with regular rotations at the Pentagon and "Main Navy" (as the Department of the Navy's headquarters were then called), Phyllis grew up in the Northern VA suburbs, where Ginny began her career in commercial and residential real estate brokering. Phyllis attended Marymount Junior School in Arlington, VA, graduated from Miss Hall's School in Pittsfield MA, in 1966 and Newton (MA) College of the Sacred Heart in 1970. After student teaching in Waltham, MA, Phyllis began a career creating and developing educational programs for several school systems in Maine. In the mid-1980's, Phyllis began a second career as a civilian employee of the U.S. Navy as a Management Analyst and Project Leader for an Information Systems "in-house R&D group." This work was interrupted in 1989 by Ginny's death and Phyllis' marriage to an attorney from Dallas (TX), where Phyllis lived for the next seven years. While in the Dallas area, Phyllis launched her own company selling antique jewelry and decoratives. In three years, it expanded from one location to three and from $20,000 inventory to $750,000. This career was interrupted by divorce, re-marriage and relocation to Northwest Arkansas in 1996. Phyllis' husband, Ronald Morris Nunez (Trinity and Dallas, TX), a retired Corporate Security Manager, live in Rogers, AK. Ron sells trucks, Phyllis works part-time, and they both enjoy fishing and boating on Beaver Lake. 2.2.1.6. Bridget McTiernan, c. 1870--2-16-1962, daughter of James McTernan and Bridget Rogers, born in Heapstown, Co. Sligo, immigrated to Boston, MA on 8-21-1886 on the SS Pavonia. Bridget was a Practical Nurse and visited her brother, Patrick in Australia from November 20, 1928 until February 9, 1929 staying at James McTiernan's house in Santa Rosa-Hollywood Crescent. Bridget who never married was referred to as Bessie. 2.2.1.7.1. George Foley, 1904--10-2-1918, may have died from the widespread flu during the Great War era. Buried in St. Joseph's Cemetery in West Roxbury, MA. 2.2.1.7.2. Timothy J. Foley, 1926--1-8-1931, buried in St. Joseph's Cemetery in West Roxbury, MA. 2.2.1.7.3. Anne E. Foley, 1903--6-20-1973, buried in St. Joseph's Cemetery in West Roxbury, MA. Photo of Katherine, Honor and Marion. 2.2.1.8. James J. McTiernan Jr., 4-12-1877--6-23-1948, son of James McTernan and Bridget Rogers, born in Heapstown, Aghanagh (Diocese is Elpin not Ardagh / Aghanagh), Co. Sligo, immigrated to Boston, MA on 8-21-1886 on the SS Pavonia. James was a Boston Fireman. He married Mary Griffin. 2.2.1.9. John Patrick McTiernan, 3-19-1879--, son of James McTernan and Bridget Rogers, born in Heapstown, Aghanagh, Co. Sligo, immigrated to Boston, MA on 8-21-1886 on the SS Pavonia. 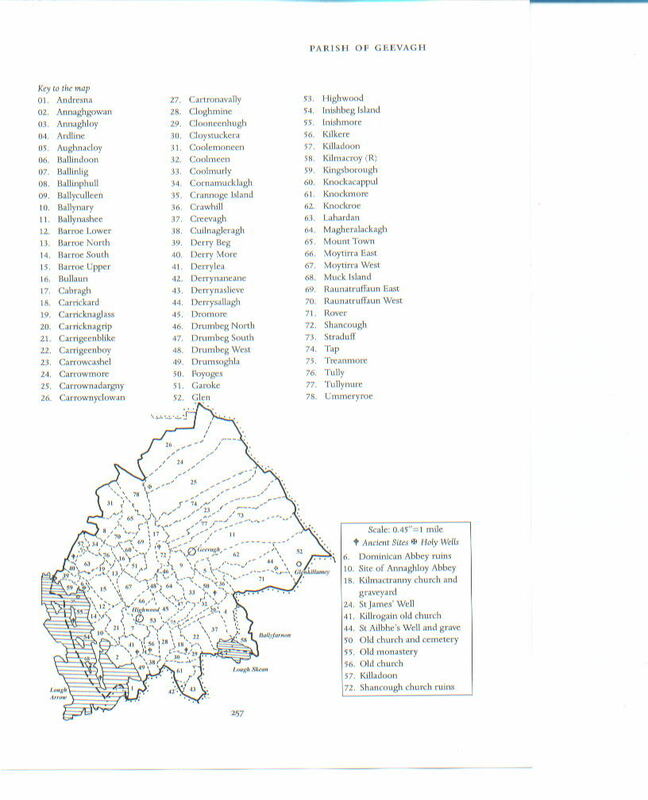 (Diocese is Elpin not Ardagh / Aghanagh). John married late in life with no issue. 2.2.1.10. Edward Joseph McTiernan, 4-8-1884--6-22-1950, son of James McTernan and Bridget Rogers, born in Heapstown, Aghanagh (Diocese is Elpin not Ardagh / Aghanagh), Co. Sligo, immigrated to Boston, MA on 8-21-1886 on the SS Pavonia. Edward never married. Leo McTiernan is the 1st cousin, one generation removed of Sir Edward McTiernan.